Greenfields has delivered childcare services at Clifton Children’s Centre since 2007. Our nursery there is purpose built and consists of two rooms and an outdoor play area. We provide sessional care for 32 children accessing the government’s fully funded Early Learning Programme for two year olds.  We work in close partnership with the Children’s Centre in delivering other family services. Partnership working with parents is a strength of the setting. Effective methods of communication keep parents exceptionally well informed of their child's progress and activities they enjoy throughout the day.